We are very excited to announce that we will be holding our 2nd Annual Bike Rodeo & Safety Day! 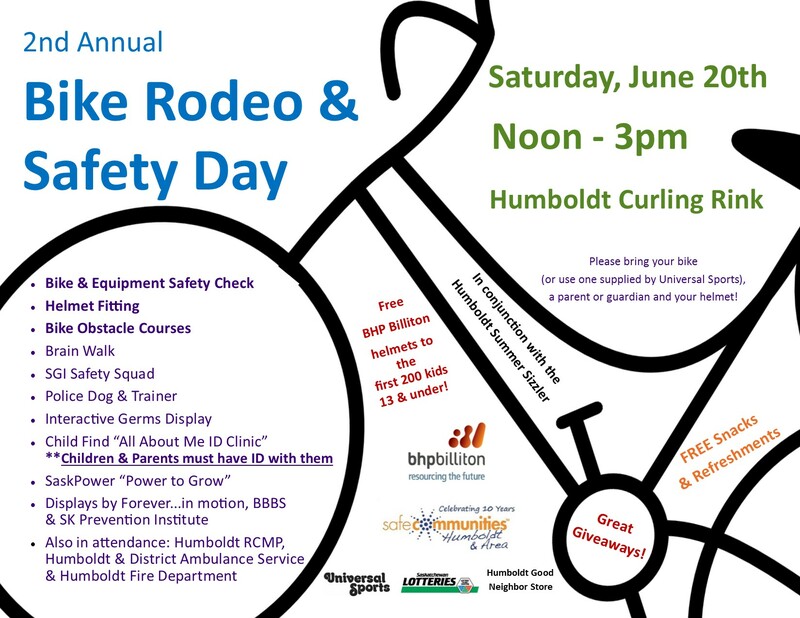 June 20th, from noon until 3pm in the Humboldt Curling Rink. Once again, partnering with the BHP Billiton, this year's event will be held in conjunction with the Humboldt Summer Sizzler. For those who think they don't need to attend because they were there last year will miss out on a whole new event! We are planning different obstacle courses, new activities, games and safety stations.